If you’re curious about starting your own business, join us at this FREE two-day start-up course for the chance to find out more and bring your ideas to life! What will I do at the weekend? Meet other budding entrepreneurs and start your journey together! By the end of the weekend, you will have clear next steps for taking your ideas forward and making it happen! This course will also include support that’s specific to purpose-led business, whether that’s a social enterprise, charity, or social business, to help you learn the basics of how to set up a sustainable business that makes a difference locally or globally. Director of Make It Studios CIC, Jules is a social entrepreneur, business adviser and educator with over 10 years experience supporting enterprises to start well and grow. An experienced trainer and educator Jules enjoys sharing her knowledge and empowering entrepreneurs to achieve the change they want to see in the world. Jules also lectures at Bath Spa University. Big interests include creativity, social innovation and sustainable development. This course is taking place at Make It Studios co-working space in Stroud. Make It Studios is Stroud’s newest shared workspace offers hot desking with business support, training, room hire and public classes. Based at Fromehall Mill, just a short walk along the canal path from Stroud town Centre, parking available. Getting there: Don’t follow your Sat Nav! Turn down Lodgemore Lane and follow this road down, over the bridge, then turn right and drive down the canal path. You’ll see Make It Studios right next to the small car park. A buffet lunch and refreshments are provided on both days. Free parking is available on-site. *Please let us know of any dietary requirements at least 5 days before the course starts. 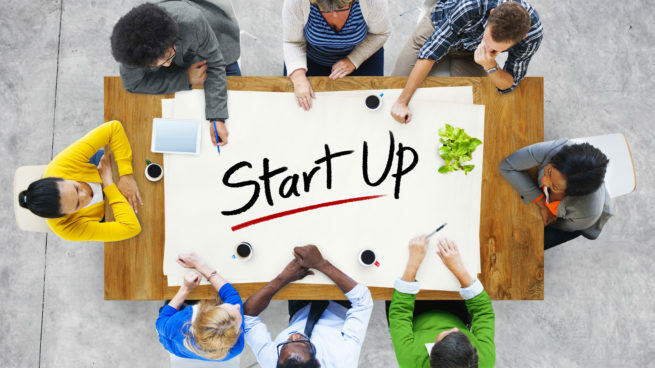 Start-up Weekends are offered by Start and Grow Enterprise, a University of Gloucestershire project with funding from the European Regional Development Fund (ERDF). Start and Grow Enterprise supports the growth of Gloucestershire-based entrepreneurs and start-ups (trading up to 3 years) through free training, events, networks and resources.